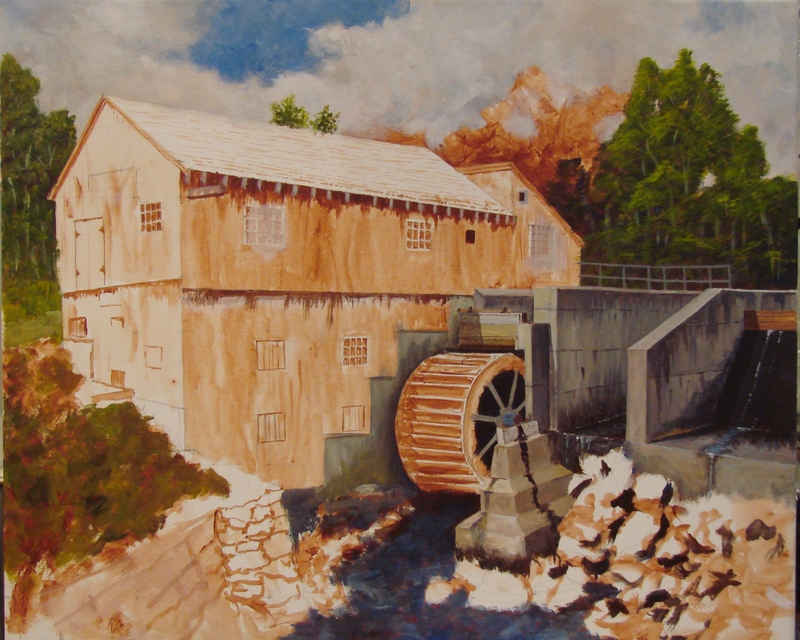 I began a painting of the Taylor Sawmill in Derry NH. This is a water powered, vertical sawmill and operates two Saturdays a month when the water level is high enough. I began with a very smooth canvas and a monochrome painting of Burnt Sienna to work out the composition. I have the sky, trees and dam roughed in; and I’m now making some structural corrections as I go along. This is one of those paintings that is going well right from the beginning. Stay tuned! 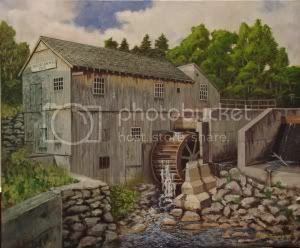 This entry was posted in Paintings and tagged Painting, Sawmill. Bookmark the permalink.